The City of Winnipeg was reconstituted 01 January 1972 as the amalgamation of twelve previous municipalities: Winnipeg, St. Boniface, Charleswood, Fort Garry, East Kildonan, North Kildonan, Old Kildonan, West Kildonan, St. Vital, St. James-Assiniboia, Transcona, and Tuxedo. Enterprise folded when passengers proved too few and street mud too deep. Enterprise owned by G.H. McMicken. Omnibus service connecting Winnipeg with the railway station in St. Boniface. Purchased from railway interests a rival omnibus service 02 February 1879. 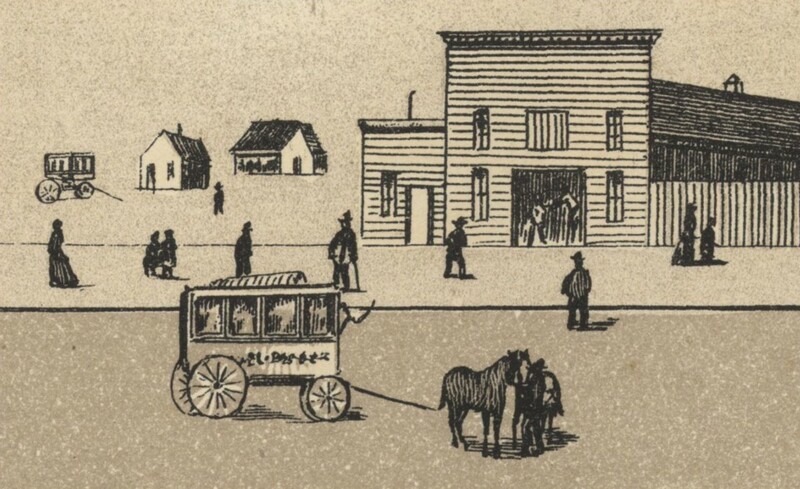 Started a rural tri-weekly service between Winnipeg and Selkirk 08 September 1879. ( Manitoba Free Press 1879-1881, image Manitoba Historical Maps). Incorporated 06 January 1953 as a subsidiary of WECo, which was controlled by the Manitoba Hydro-Electric Board, a provincial government agency established by legislation in 1949 and activated 18 May 1951 (Manitoba Hydro website). Sold to the GWT Comm. 1953. Multi-municipality enterprise incorporated 08 April 1953. Purchase of predecessor's assets completed 11 November 1953. Reorganized as the Transit Department of the M Corp of G.W. 1961. (photos: Winnipeg Transit, Peter Cox). Sargent Jitney Association (reported April 1916) Forty-six jitneys operating on Sargent Avenue on 06 September 1916. Winnipeg Jitney Owners' and Drivers' Protective Association (reported August 1916 through September 1917) Over 100 members in July 1916. The charter of the Jitney Owners' and Drivers' Association of Winnipeg was finally cancelled by the provincial government 28 September 1936 ( Manitoba Gazette , Vol. 65, #38, Sep. 19, 1936, p. 738). West Kildonan residents organized a jitney service to Kildonan Park circa April 1917. 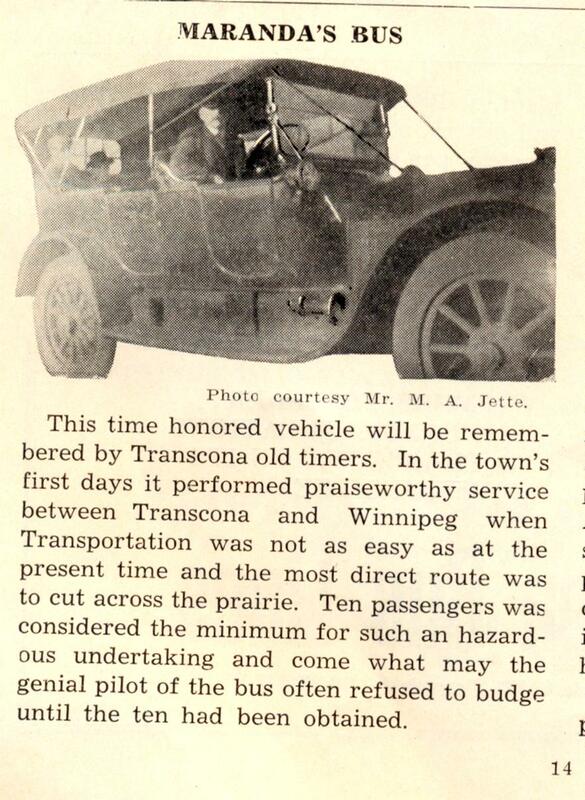 Winnipeg City council finally banned jitneys 19 April 1918. (CR&MW 1915-1918). 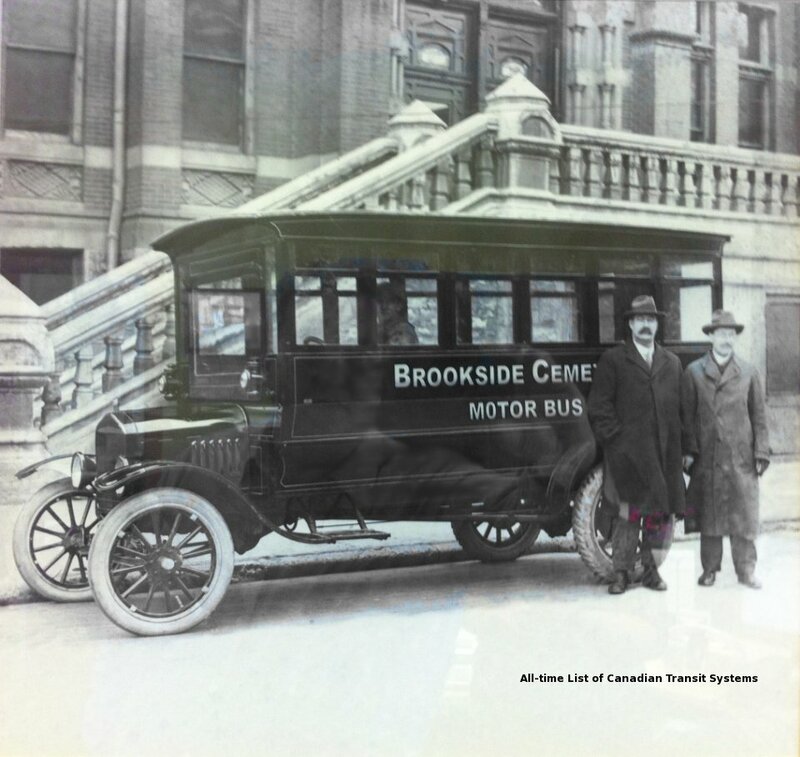 Beginning in the 1920's Brookside Cemetery provided seasonal transportation between the cemetery and a connection with Winnipeg's transit system on Keewatin Street. The initial schedule was mid May to the end of October, on Tuesdays, Thursdays, Saturdays, and Sundays. Fare was 10¢ one way. 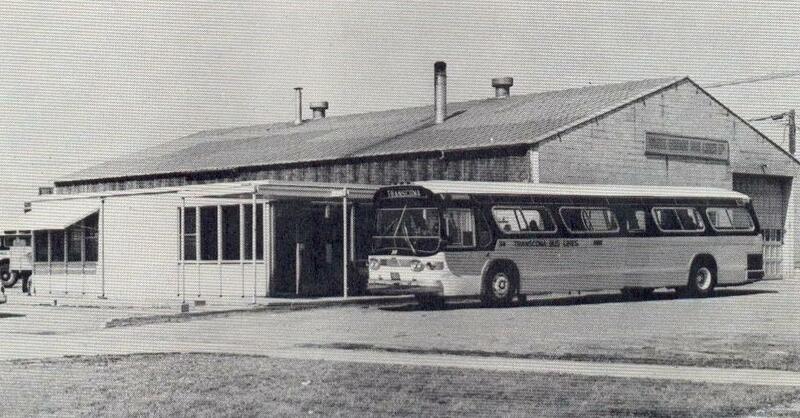 As late as 2005 a Sunday van service connected the cemetery with the transit terminal at Red River College 1 km away. Cemetery owned by the City of Winnipeg. ( Brookside Cemetery: A Celebration of Life p. 15, photo Alex Regiec). Took over a single bus route from the WECo in St. Vital in 1932. 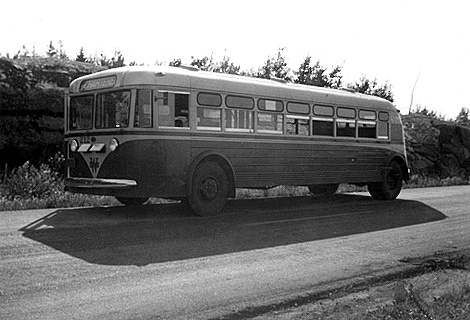 Incorporated as Beaver Bus Lines Limited 11 December 1945 ( Manitoba Gazette Vol. 74, #51, Dec. 22, 1945, p. 1418). 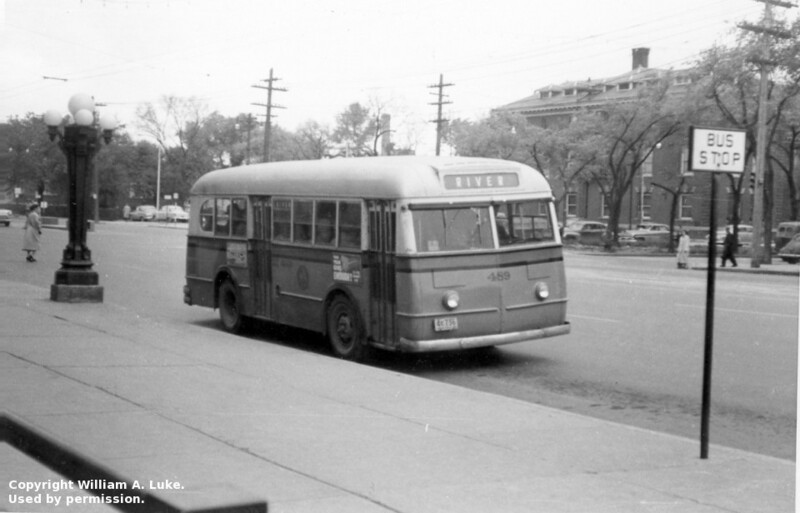 St. Vital route reabsorbed into main Winnipeg system circa 1948 ( Canadian Coach 1969). Company shifted to operating suburban bus service between Winnipeg and Selkirk. Fixed route common carrier boat service along the Red and Assiniboine rivers in central Winnipeg. Service suspended indefinitely circa 01 July 2004. Resumption of boat-bus service previously called Splash Dash. Did not operate 2007 or 2010. Shuttle bus service in Assiniboine Park, operated daily from Canada Day to Labour Day, and on Saturdays and Sundays from Labour Day to Thanksgiving. 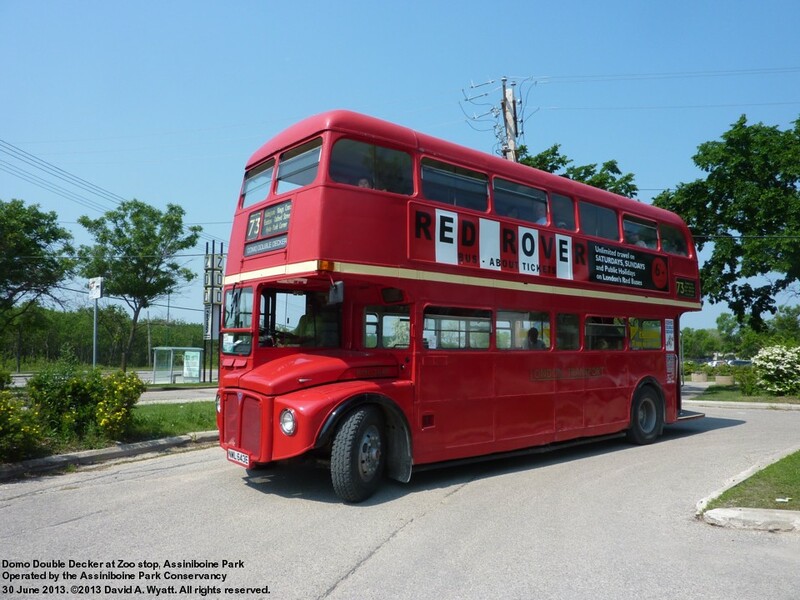 Operated by the Assiniboine Park Conservancy using a donated Routemaster double decker bus. Service relaunched in 2015 under a slightly different name. (website 2013, photo: David A. Wyatt). Navette Domo. Shuttle bus service in Assiniboine Park, operated daily from Canada Day to Labour Day, and on Saturdays and Sundays from Labour Day to Thanksgiving. Operated for the Assiniboine Park Conservancy by contractor Winnipeg Trolley Company. Prior to the construction of bridges Winnipeg and St. Boniface were connected by various private ferry operators. (photo: flickr/University of Manitoba Archives and Special Collections). Between 01 September 1998 and April 2009 (annually September to April) The University of Manitoba operated the U of M Shuttle between the institution's Bannatyne campus in central Winnipeg and the Fort Garry campus in the south end of the city. No fares were charged and no intermediate stops were made. Access is restricted to University staff and students so the service is technically “in-house” and not public transit. 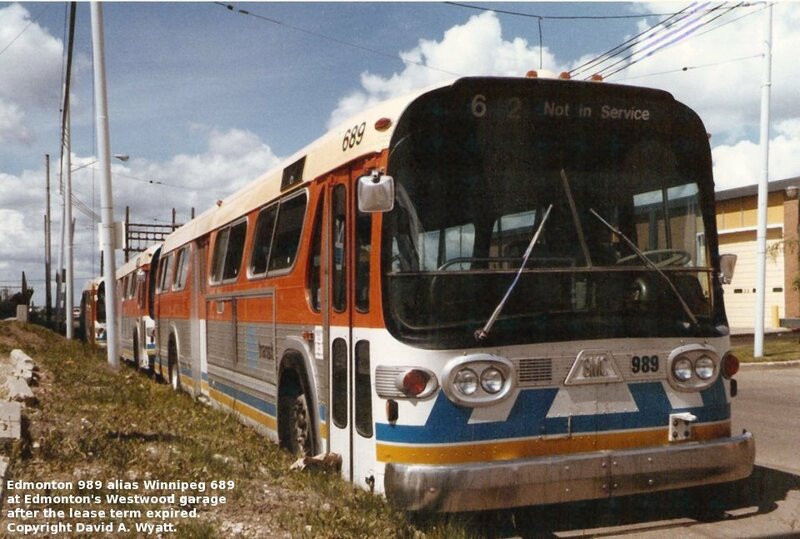 Operated under contract by Vital Transit Services Ltd.
Operation absorbed by the TTC ( Winnipeg Tribune , 30 Jun. 1967). Operation of former WECo bus driver William Dunn. Incorporated 1941. 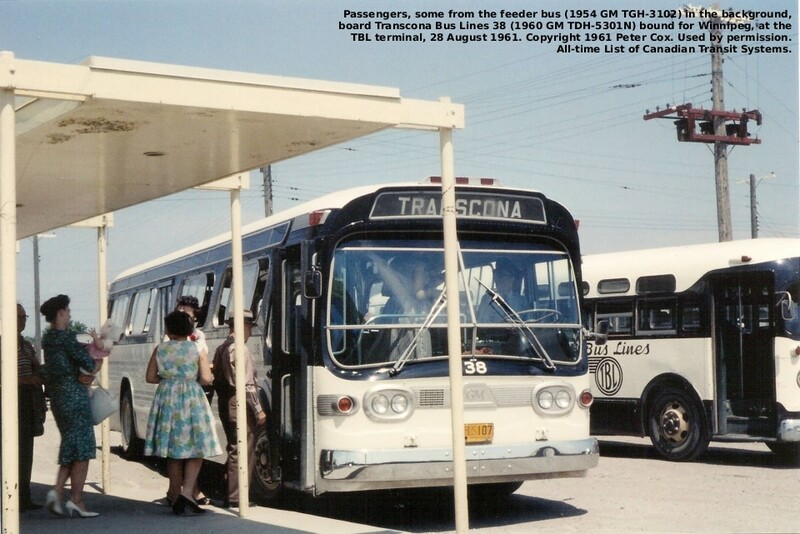 Owned by Thiessen Bus Lines which later became Grey Goose Bus Lines Ltd. 1961 advertisement proclaimed “Serving Transcona Since 1927.” Service and operation assumed by Metropolitan Corporation of Greater Winnipeg (Winnipeg city system) 01 January 1963. 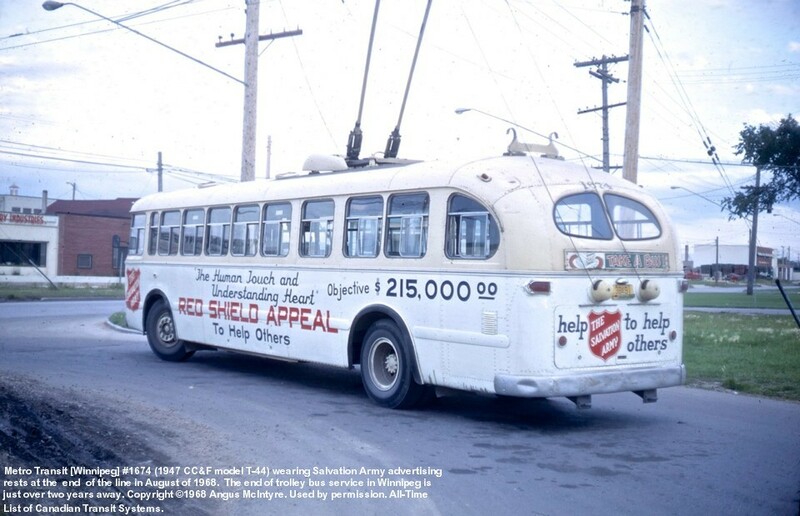 ( Canadian Coach 1966, Transcona 50th, Transcona 75th, Bus Ride , November 1989, photos: Peter Cox, author's collection). Canadian National Railways and predecessor Canadian Northern Railway Company operated local rail passenger service between Transcona and Winnipeg for many years. Canadian Northern Railway operated frequent gas-electric car service on the route in 1921 (Clegg, p. 7). In 1930 the schedule was 10 round trips/day (5/day on Sundays) operated by self-propelled battery cars (CR&MW Dec. 1930, p. 767, Martin). 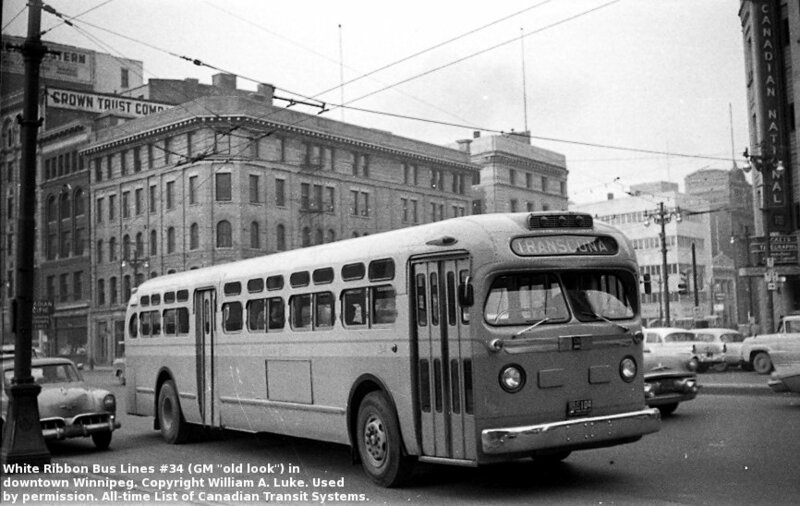 CNR "workmen's trains" discontinued 14 March 1960 (Winnipeg Transit documentation). (photo: Old Time Trains). 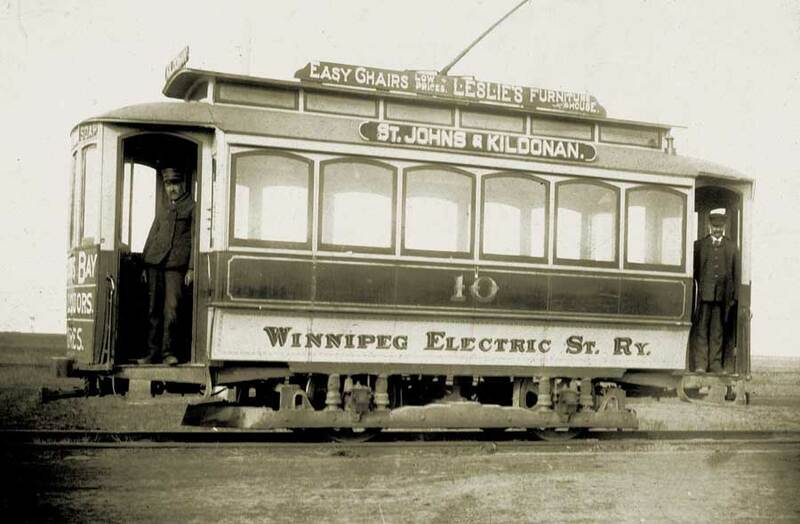 Several attempts were made to extend electric street railway service from Winnipeg to Transcona. The Winnipeg Electric Railway Company was building a line in the summer of 1914 when the rails for it were requisitioned for the war effort and construction stopped (Baker, p. 55). A Dominion incorporation to be called Winnipeg Interurban Ry Co. was proposed in 1915, and a Manitoba company to be named Transcona Electric Ry. was proposed in 1917. Both incorporations were rejected (CR&MW Oct. 1915 p. 404, Feb. 1917 p. 73, and May 1917 p. 203). * Formal closing ceremonies held 19 September 1955 (RFC). † Free rides offered to the public 05 April 2012. The Winnipeg Electric Company also owned two short rural railways. Both were built in conjunction with hydro-electric generating stations and both handled passenger traffic with self-propelled rail buses. Incorporated 24 March 1911 (Man.) by WERCo interests. Manitoba Power Company, Ltd. incorporated 1920 to assume assets and operations of the WRRCo and the Winnipeg River Power Company. Line from Lac du Bonnet to Great Falls (25 km) opened 1923 (Andreae 1997). MPCo and Winnipeg Electric Railway Company amalgamated to form WECo 1924. WRR leased to Canadian Pacific Railway Company 1935 and sold to them 1938 (Andreae 1997). Line from Whitemouth to Seven Sisters Falls (19 km) opened 1928 (Andreae 1997). Line still operating in 1949. 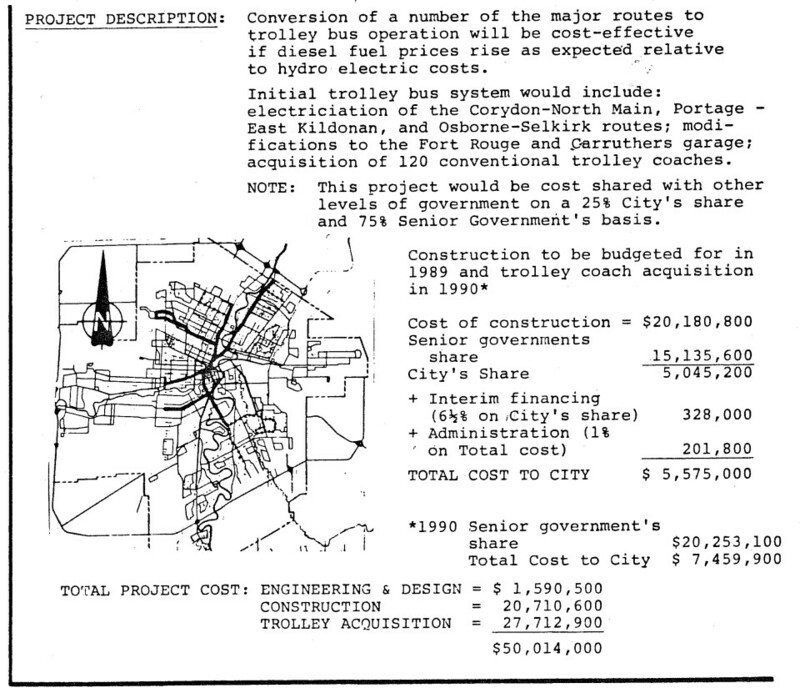 Baker, John E., Winnipeg's Electric Transit: The Story of Winnipeg's Streetcars and Trolley Busses , Railfare Enterprises Limited, West Hill (Ontario), 1982. Blake, Herbert W., The Era of Streetcars in Winnipeg: 1881 to 1955 , H. W. Blake, Winnipeg (Manitoba), 1971. Bradley, Walter E., “A History of Transportation in Winnipeg”, MHS Transactions Series 3 1958-59 season Winnipeg: Manitoba Historical Society, 1958. 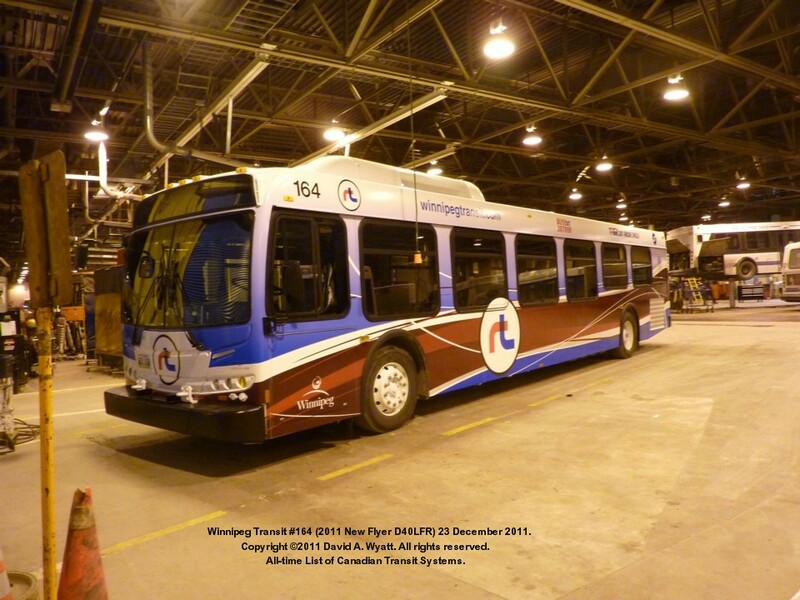 Available online at the URL: http://www.mhs.mb.ca/docs/transactions/3/transportation.shtml 2004. Brookside Cemetery: A Celebration of Life , vol. 1, Winnipeg: City of Winnipeg, Planning, Property & Development Dept., Cemeteries Branch, and ER Publishing & Communications Ltd., 2003. NewDavesRailPix: Manitoba , a World Wide Web gallery of photos at the URL: http://newdavesrailpix.com/odds/man/man.htm, 2000. Jaworski, Jim, Unofficial Winnipeg Transit Online , A world wide web site at the URL: http://www.uwto.org, 2003. McMullen, M.J.G., J.M. McGowan, and F.W.G. Hughes, eds., Transcona Silver Jubilee: 1911-1936 , Transcona: Transcona Board of Trade, Historical Booklet Committee, 1936. McMullen, M.J.G., Robert T. Rankin, and Arthur H. Day, eds., Transcona: On the Horizon of a Great Future , Transcona: Golden Jubilee Commission, 1961. 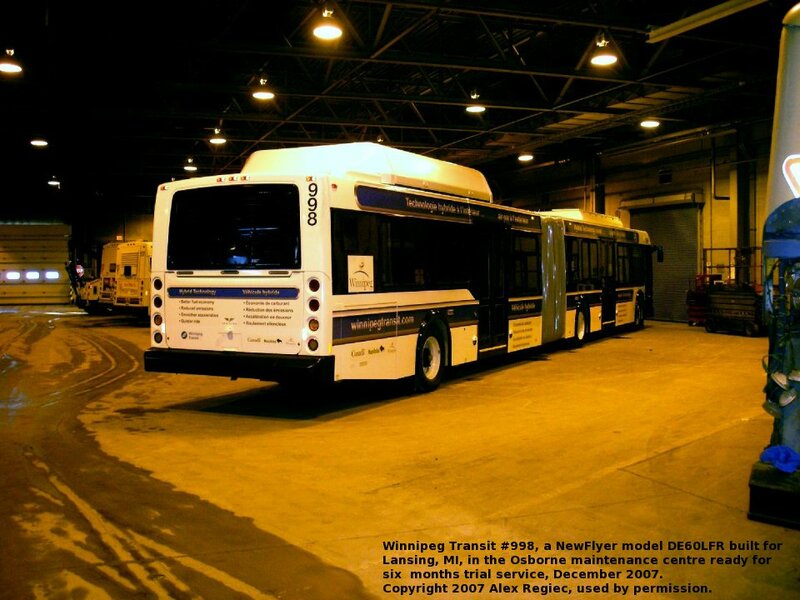 NA Transit, Winnipeg Transit , a photo gallery website at the URL: http://photo.natransit.com/winnipeg/index.htm 2003. Watts, Betty Ann, ed., Transcona 1911 - 1986, Celebrating 75 Years of Community Winnipeg: Transcona 75th Jubilee Inc., 1986. Winnipeg Transit, All-Time Fleet Roster , a world wide web page at the URL: http://home.cc.umanitoba.ca/~wyatt/alltime/winnipeg-roster.html, 2005. 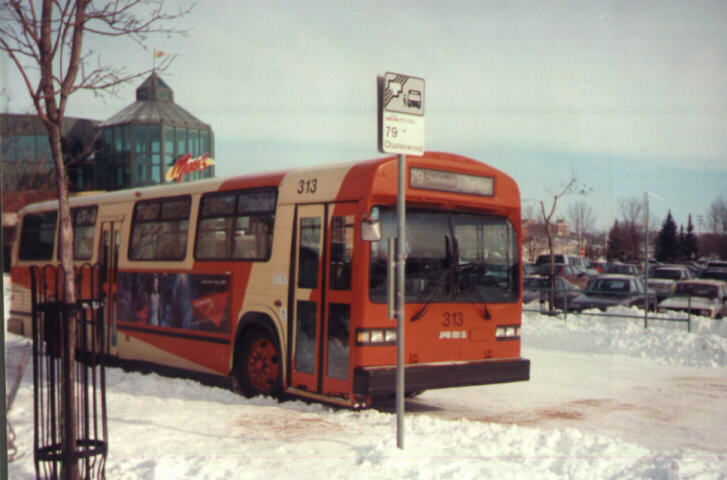 Winnipeg Transit, Moving With Winnipeg Since 1882 , Winnipeg Transit, Winnipeg (Manitoba), 1982. Copyright ©1989-2016 David A. Wyatt. All Rights Reserved.